It is crucial that you work with a team of professionals that will be able to build a fully functional waste system that measures up to the capacity that your commercial space calls for. From the moment that we arrive at your location, we will work to be able to pinpoint the exact source of your septic problem. Not only do we have a highly trained staff, but we also have the latest equipment and technology to get the job done safely and efficiently. It is always important you have a routine septic tank pumping if you want to maintain a healthy septic system. Even you have regular pumping and maintenance, there could still come a time where you are faced with repairs. The first step for installing a new septic system is to determine the exact type of system that needs to be installed on your property. One of our site evaluators will come out to the lot and take a sample of the soil for analysis. Once you call Schleg Valley Construction for your sewer needs, we can offer you the insight and pricing that you are after to make a smart decision for your property. There are a lot of homeowners that tend to forget about their septic system until the time that something starts to go wrong. It is important to take care of your system with regular pumping and maintenance if you would like to prolong the life of it. Whenever you find that you will need the help of powerful, precision excavation services and site work on your property, our dedicated team of professionals will be there. We have the expert professionals as well as the tough machinery to gain access to the underground system and any utilities. Working on a new home construction helps you to reduce your regular heating and cooling bills, and you are also helping to cut back on your carbon footprint. With all of the best construction practices and the state of the art appliances, you are going to have the ultimate finished result to offer you years of the best experiences. Because you have a job or a busy home life, you need to have someone that you can trust to take the workload off of your shoulders. This is where we come in at Schleg Valley Construction. 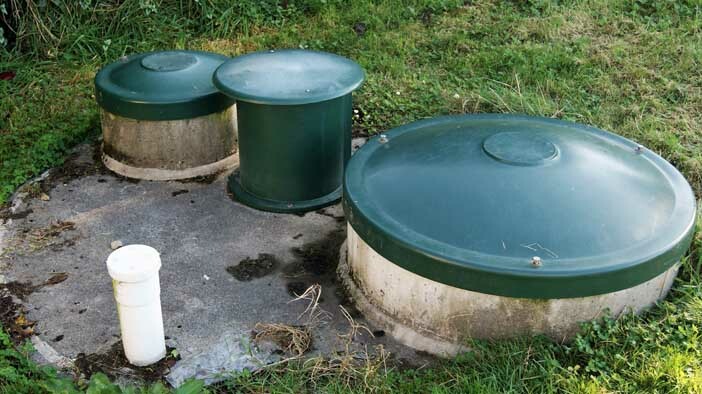 A septic pumping will simply remove any of the wastewater and matter in the tank, whereas a septic inspection will look at a number of elements to ensure that the system is functioning properly. Because no two septic systems are the same, you need to know that you are working with a service and repair team that understands systems of all kinds. We have the trained technicians and knowledge of septic systems to give you the reliable repairs that you are looking for. Whether you have an older system that has seen better days or you are working on a new home build, Schleg Valley Construction is the company of choice in and around the Granite Falls area. The sewer lines are vital elements for any home. Such lines work by transporting wastewater from the home to the local sanitation facilities for proper treatment. This is a large system of pipes that help to keep your entire household free from having to deal with a messy situation. Schleg Valley Construction can be there to help you with a whole lot more than cleaning your drains and septic inspections. We are a full-service sewer provider offering a wide range of sewer repair services in and around the Granite Falls area. Schleg Valley Construction has the trained technicians and the right equipment to get the work done on your septic system pump. Whether you call us for a maintenance check and repairs for a regular appointment or you need us for an emergency call, we can be there when you need us. The septic pump is a crucial feature if you have a slope on your property, an elevated drain field, or you have a bathroom installed on the basement level. The pump helps to push the wastewater through the lines to get to the septic tank. If it happens to clog or malfunctions, you could start to notice foul smells in your drains or wastewater that begins backing up into your home.